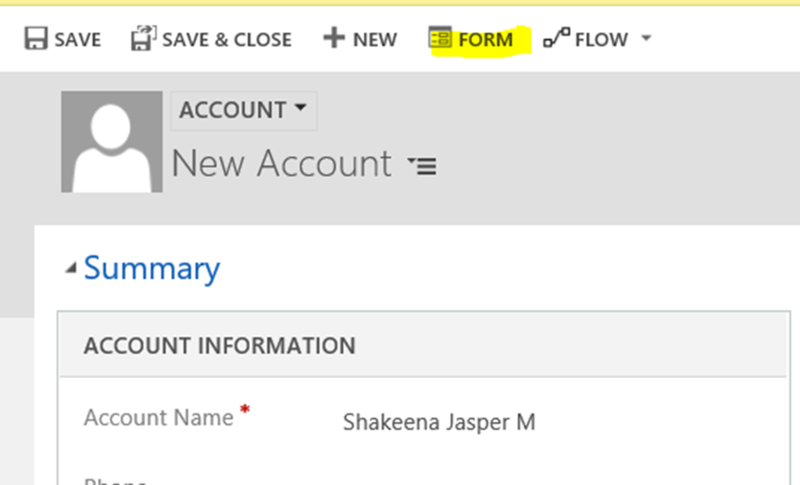 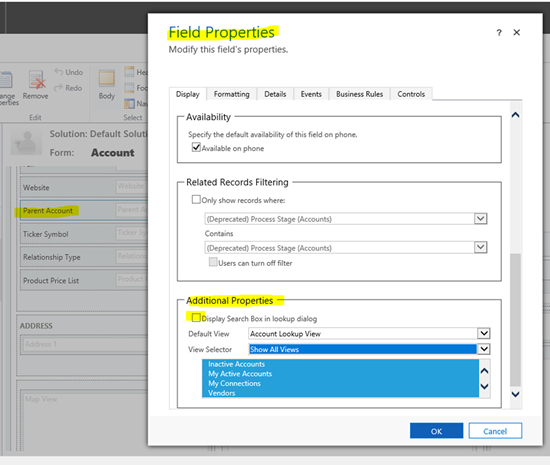 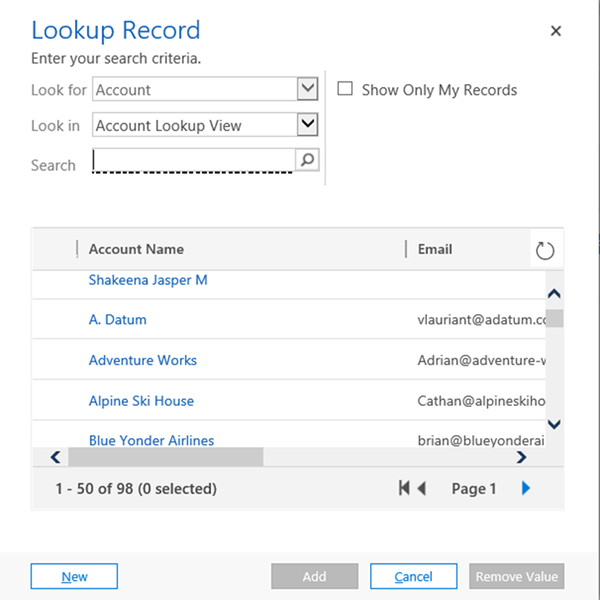 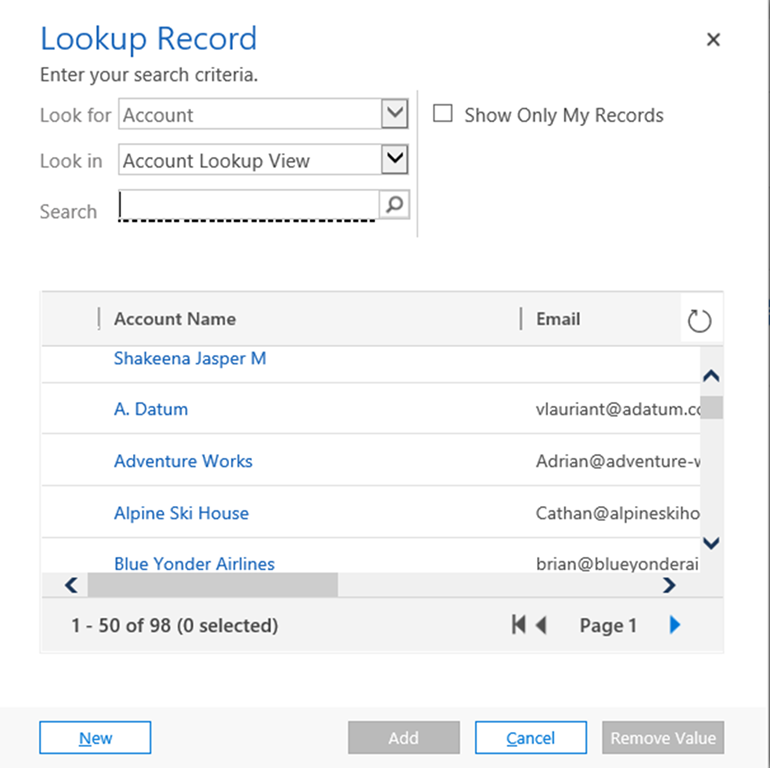 An overlooked feature of Dynamics 365 is the ability to hide the search box on lookup window for an entity. 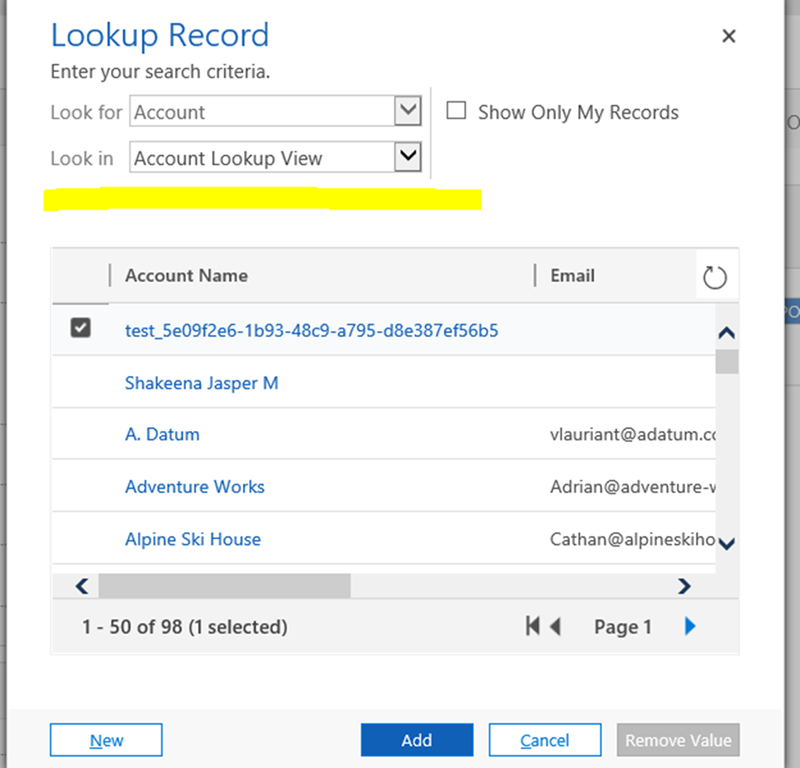 In this blog, I would like to share how we can do that as it can be used to keep users from searching on look up window if necessary. 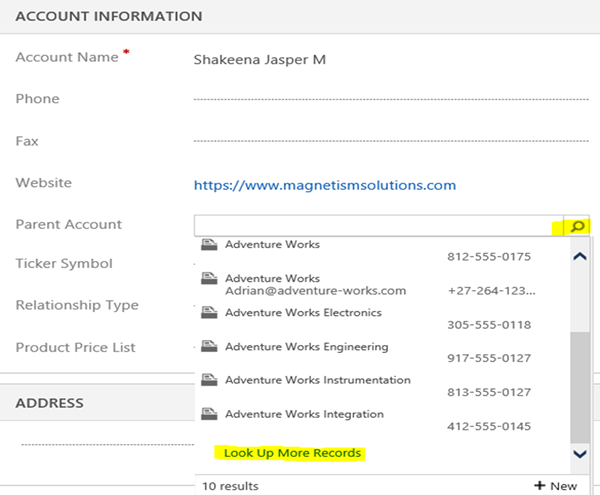 A lookup Record pop up window displays as below where we can see Look For, Look in & Search criteria by default. The Search box in the Lookup dialog can be easily added/removed by following the above steps.